20 REASONS WHY WE FEEL HARLEQUIN ARE THE VERY BEST IN THE BUSINESS – by a long-shot. 6. We at Harlequin only do Wonderful, Fabulous and Extra-ordinary. 8. For TWELVE YEARS now Harlequin has been playing weddings TO FULL DANCE FLOORS all over the country and around the globe. 9. Harlequin treat each and every wedding with the same PERSONALISED SPECIAL-CARE AND ATTENTION TO DETAIL ensuring a smoothly-run operation is delivered in a discrete and professional way. 10. 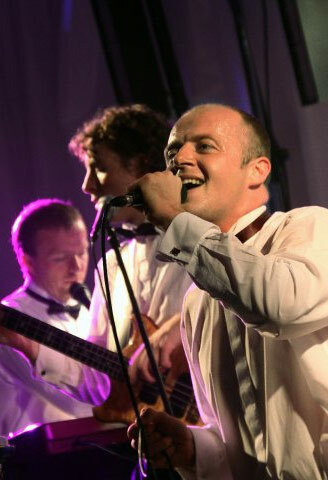 Harlequin’s wedding entertainment service lasts THREE HOURS with most of our work being performed as a six-piece band. 12. We have a 3,800-SONG REPERTOIRE and we play ALL STYLES OF MUSIC and vary our sets to suit the occasion. 14. The band install our equipment in the absence of guests where possible and WE DON’T SOUND-CHECK when your guests are present. 16. Harlequin operates at the highest level of PROFESSIONALISM and we never invite customers to your private wedding event. We are unique in this regard. 18. From start to finish this is the most enjoyable part of the entertainment for your guests and we keep the floor full from beginning to end consistently reading the audience and knowing when to bring out the waltzes etc. 19. We DON’T overload your audience with any one-particular type of music so the evening really is a good balance with lots of variety so as not to exclude any individual guests. We promise to play all of your special requests LIVE and if you have music you like that we don’t know, we’ll learn it. 20. Our only agenda on the your wedding night is to give you the night of your lives. Our front-man Shane is wholly focussed on each and every bride and groom to ensure that their heart’s desires are met and exceeded. 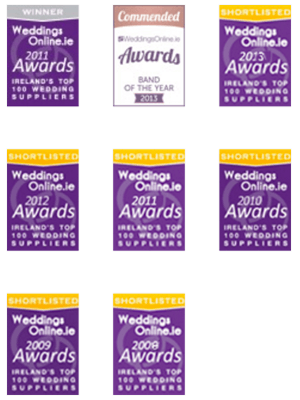 Harlequin’s wedding band entertainment is meticulously planned in advance in terms of what is happening and when. Time may flow out of control on your wedding day so of course we move with that. In terms of etiquette, we can ease off or bind to tradition. You’ll choose the components you’d like included in the entertainment and before the day arrives we will have an event plan that you and your guests will enjoy 100%.